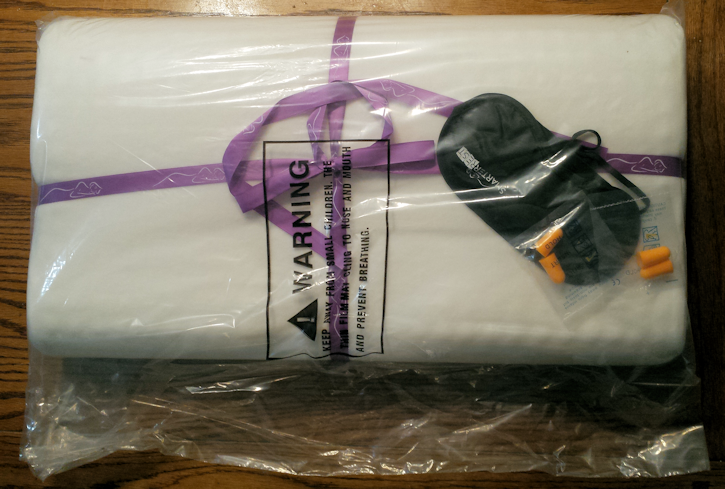 I was super excited to review the Memory Foam Pillow by Smarter Rest for 2 reasons. ONE - I love doing reviews, and TWO - I was just about ready to get a new pillow anyway. 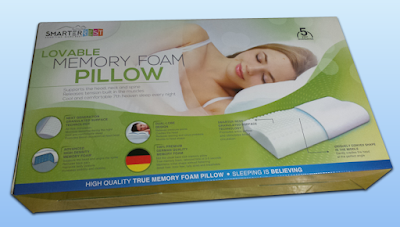 Memory foam is that space age material that squishes when you squeeze it and it gently springs back when you stop squishing it, and for that reason it makes a great pillow since it moulds gently to the shape of your head and neck. I have been sleeping on this pillow for almost a month now and I can honestly say that my nights are more restful. I don't find myself half waking up to adjust the 'fluff' of my pillow, or to flip it over because my head got hot. I might be dreaming if I said that I fell asleep as soon as my head hits it and I magically wake up 8 hours later in exactly the same position, but I do wake up more refreshed than before I started using this pillow. What makes this pillow so special? There are a number of design attributes which the manufacturer draws attention to and while I don't understand the science behind them all, I can say that the pillow is comfortable, and stays cool while offering great support for my head. When I lay down on this pillow, my head gently sinks as the memory foam contours to it's shape. The foam resists just enough to support my head without feeling too hard or too soft. It did take two nights to get used to the sensation of memory foam since I had been using a regular polyester fill pillow, but once my body adjusted it felt great. The pillow is smaller than I expected and smaller than what I am used to, measuring just 21 inches across and 12 inches top to bottom. Thats about 2/3 the size of my old pillow. Again this took me a little time to adjust and I still have not acquired a pillow slip small enough to fit it, I just fold the excess of my regular cover underneath the pillow. The Memory Foam Pillow ships with bonus gifts of an eye mask and two pairs of earplugs which I am yet to use. My boudoir has blackout blinds and I live in a quiet neighborhood so I cannot attest to the effectiveness of either of these free gifts. Overall I would definitely recommend this product to anybody who does not currently enjoy a full night of restful sleep. I used to be one of those people and so far this pillow has helped me to sleep better and longer, and wake more refreshed in the morning. Disclosure: I received this item at a deeply discounted price in exchange for the honest and unbiased review above.